This card is for a very special girl who could use as our help. A simple gesture such as making a card might help to make her difficult days a little brighter. Crafters are some of the most generous, thoughtful people that I know. Won't you help put a smile on this little girls face? Haeli is this little girl's name and she is a 6th grader( 12 years old) in Canton Ohio. Haeli is dealing with a very serious disease that is very hard for an adult to deal with so for a child I can't even begin to understand. She has a very rare form of ovarian cancer. She is currently undergoing chemotherapy. You know when things like this touch in our lives it makes us stop and think of just how blessed that we really are in our own lives and or helps us cope with our own lives better. This so touched my heart. after having cancer myself I found it hard to believe that a little girl of only twelve has ovarian cancer. My prayers go out to her. I will send her a card too. Your card is gorgeous and I know Haeli will love it. you created such a beautiful scene. What a gorgeous card! May God help the sweet little child! Oh, you are so sweet to have created this for this little soul who needs so much comfort now! Your card is just adorable! She will love it! 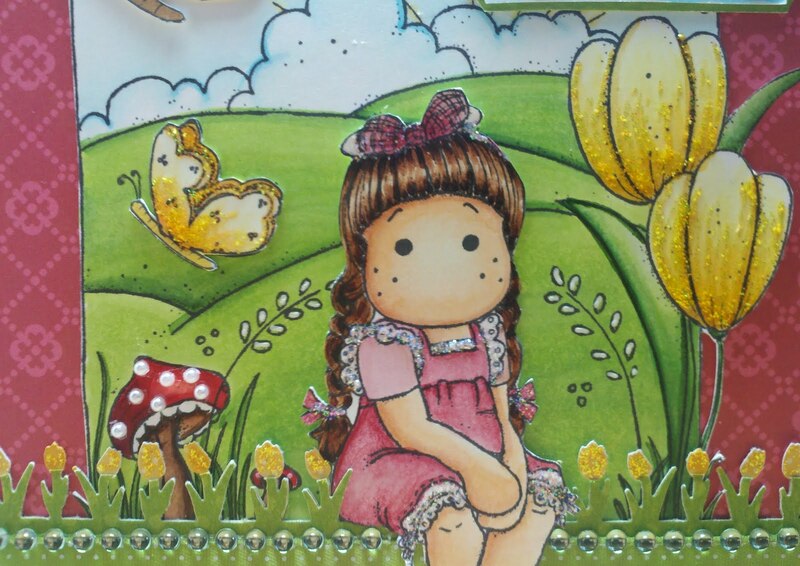 Julie, you card is beautiful, and it's for a beautiful cause! My heart cries for this young lady. Thanks so much for spreading the info to us. You have a compassionate heart. This card is so beautiful for her and I hope God heals her little body soon. Oh Julie...you are so sweet...this is sure to bring a smile to her heart! Your card is incredible! You have created such a lovely scene for her. This card will surely brighten her day! 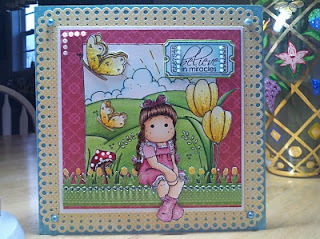 What a beautiful card and what a wonderful reason to create this sweet card!!!! I will have to read Haile's story! I will most definitely want to send this little girl a card!